In these sixteen stories, available in English for the first time, prize-winning author Yenta Mash traces an arc across continents, across upheavals and regime changes, and across the phases of a woman's life. Mash's protagonists are often in transit, poised "on the landing" on their way to or from somewhere else. 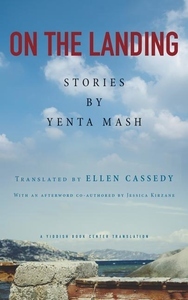 In imaginative, poignant, and relentlessly honest prose, translated from the Yiddish by Ellen Cassedy, Mash documents the lost world of Jewish Bessarabia, the texture of daily life behind the Iron Curtain in Soviet Moldova, and the challenges of assimilation in Israel. On the Landing opens by inviting us to join a woman making her way through her ruined hometown, recalling the colorful customs of yesteryear--and the night when everything changed. We then travel into the Soviet gulag, accompanying women prisoners into the fearsome forests of Siberia. In postwar Soviet Moldova, we see how the Jewish community rebuilds itself. On the move once more, we join refugees struggling to find their place in Israel. Finally, a late-life romance brings a blossoming of joy. Drawing on a lifetime of repeated uprooting, Mash offers an intimate perch from which to explore little-known corners of the twentieth and early twenty-first centuries. 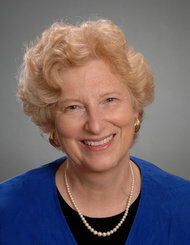 A master chronicler of exile, she makes a major contribution to the literature of immigration and resilience, adding her voice to those of Jhumpa Lahiri, W. G. Sebald, André Aciman, and Viet Thanh Nguyen. Mash's literary oeuvre is a brave achievement, and her work is urgently relevant today as displaced people seek refuge across the globe.